For years, Sabio has been approached by many small- and medium-sized-business owners in Florida who needed IT support during an emergency situation. Although we were able to fix their network and computer problems, we’ve seen how a robust backup and disaster recovery plan could have easily saved them from tech troubles. In 2017, Florida experienced one of the strongest hurricanes in history, and it’s only a matter of time before another disaster hits. The following key components of a backup and disaster recovery plan can help you cope in times of crisis. There’s plenty of scenarios that could prevent you from accessing your data, programs, and systems in case disaster strikes. What’s worse is you might not even reach your main office (or your only office) in time, which is why the cloud is your friend. An ideal backup solution involves local (on-premises backups on hard drives) and cloud backups. Local backups will allow you to immediately retrieve data in case minor glitches occur, while cloud backups save you from a total shutdown in case your office catches fire or gets flooded. In other words, your cloud backups could be your only hope of getting back your data, apps, and systems in a full-blown catastrophe. Backing up your data is the best way to continue operations following a disaster. But merely backing up is not enough. You need a disaster recovery solution that ensures your data is usable and virus-free. Businesses often have to consider various factors when backing up, including what data to back up, which backup procedure is ideal, when to back up, and which devices’ data need to be prioritized for backup. Moreover, you need to validate your backed-up data’s usability. 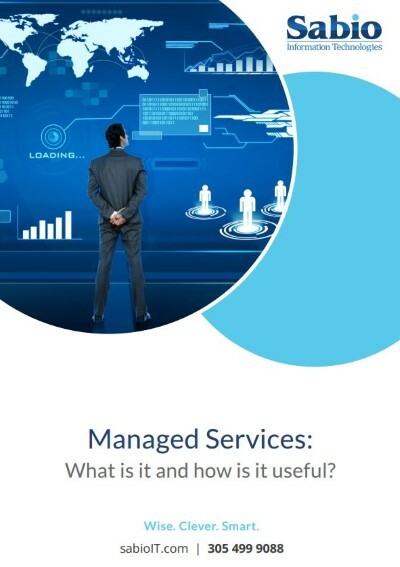 These tasks can be efficiently handled by a Managed Services Provider (MSP) like Sabio. We keep your disaster recovery plan current, optimized, and economical. Do your employees know whom to contact in the event of an emergency? Is there a way for your clients to reach you during blackouts? Can your organization coordinate responses from employees or customers to prevent panic? These are some of the questions you should ask when creating a disaster recovery plan. Efficient means of communication are crucial when facing and managing a crisis. People expect answers fast, and relying on local media and authorities is no longer enough. Your business’s stakeholders expect to hear directly from you, and they will use all available means to do so. To that end, it’s your responsibility to provide them with timely updates regarding your business, employee safety, and other concerns via your website, social media platforms, email, or any other channels. A disaster can happen when your in-house IT guy or CIO is out on vacation, or while you’re in the middle of a big office relocation. In such situations, you and your staff will be preoccupied with more urgent tasks, like your family’s safety, while matters regarding business operations will likely be put on the backburner. Only when you picture the worst-case scenario and anticipate the loss of your most valuable IT resources, including your data, systems, and network, can you truly grasp what’s at stake in case disasters strike. Then, you can set realistic expectations and plan accordingly. Preparing for disasters is easier said than done, but when you work with an expert IT services provider, your business’s safety is handled by technicians capable of bringing your technology assets to safety. 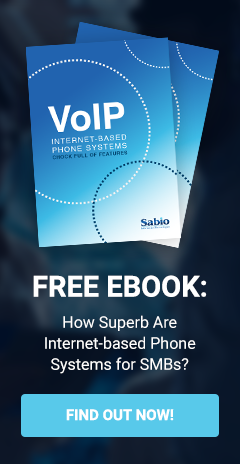 At Sabio Information Technologies, we go beyond backing up data. We ease your worries by ensuring your data is consistently archived and can be readily retrieved. We offer comprehensive disaster recovery solutions and prioritize your business’s valuable assets when you can’t. Call our consultants to learn how we can bulletproof your business.